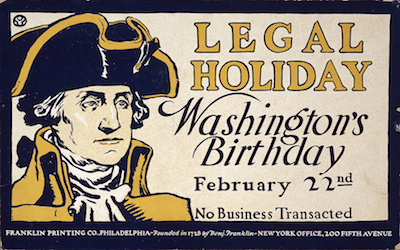 "No Business Transacted" on Washington's Birthday was a message broadcasted, in this Edward Penfield Poster. Public domain image courtesy of Wikimedia Commons. NEW JERSEY – Presidents’ Day for many now is viewed as a day off of work, a postal holiday, a day when some of the banks are closed and a day that many businesses capitalize on for sales; however, the original intent of the holiday did not begin that way. According to History.com, the original intent of Presidents’ Day was to celebrate the life of President George Washington. Washington’s impact on the country resonated while he served as the nation’s first President and even further after his death on Dec. 14, 1799. Beginning on Feb. 22, 1800, the United States began informally remembering the first Commander-in Chief. As time marched on, American citizens continued to honor Washington on each of his birthdays, including his 100th birthday (1832). In 1848, the Washington Monument construction kicked off on in his memory, though the idea was conceptualized on what would have been Washington’s hundredth year of age. Funds were raised for the monument through the Washington National Monument Society to the tune of $28,000, with the design chosen in 1836. Though excavation began in 1848, and celebrations began that same year on July 4 with the Freemasons spearheading the event (Washington was a member), construction was not completed until 1885, with the dedication the day before what would have been Washington’s 153rd birthday. Difficulties fundraising, an illegal election and the Civil War caused delays of its completion. The public was first able to stand inside the monument on Oct. 9, 1888 — more than 55 years after it was dreamed up. The holiday though to remember America’s first President was memorialized prior to the monument’s finish, with President Rutherford B. Hayes signing the holiday into law in 1879 for Washington DC only. By 1885, the day became a national holiday. Shifting from remembrance of Washington’s Birthday only to the actual Presidents’ Day began with the proposal and then approval on June 28, 1968, as an Act of Congress, with the Uniform Monday Holiday Act. The Act was approved to establish Monday holidays, including Memorial Day, Labor Day, Columbus Day and Veterans Day. Washington’s Birthday was then shifted to the third Monday of February, with the holiday designations beginning on January 1, 1971 (Veterans Day, however, eventually returned to its Nov. 11 date in 1980, though Washington’s Birthday never shifted back to its original date — in spite of upset from Virginia Lawmakers at the time of the approval — Washington’s home state). With the popularity of President Abraham Lincoln, whose birthday was Feb. 12, many embraced the idea that the nation was seeking to honor both beloved Presidents and their February birthdays, with a date in between. Many have placed both Presidents in the same caliber and often compared them in terms of greatness, though Lincoln was born in 1809, almost a decade following Washington’s death. The two had many interesting differences — from their political party affiliations (Lincoln was a Republican, Washington was not in any party) to their religion (Lincoln had no affiliation and Washington was Anglican/Episcopal) to their professions (Lincoln was a lawyer and legislator in Illinois while Washington owned a tobacco farm and plantation) to their educations (Lincoln never had former schooling and Washington was tutored and trained as a surveyor) and deaths (Lincoln was killed by an assassin and Washington succumbed to pneumonia). 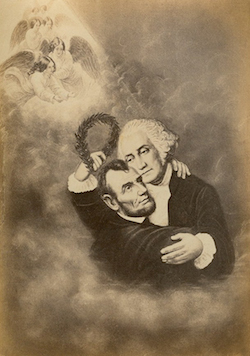 Apotheosis of Abraham Lincoln being greeted in heaven by George Washington. Public domain image from the 1860s courtesy of Wikimedia. In cultural folklore, the two Presidents have often been placed together, including artwork — with Washington greeting Lincoln as he ascended into heaven after his assassination and other portraits depicting the two shaking hands and greeting each other. The portrayal of the two Presidents uniting after death is an apotheosis, or the interpretation through art based on beliefs that the two have risen to divine or heroic heights in United States history. It was around the 1980s that the Presidents’ Day came into being, with many dropping the Washington’s Birthday association. Some have taken offense to this, in the sense that some feel it has watered down the individual legacies of two revered Presidents. On calendars, however, Lincoln’s Birthday is marked on Feb. 12 and Washington’s on the third Monday of each February. However, in spite of the campiness of some of the businesses, which use the two Presidents to advertise their sales on Presidents’ Day or otherwise to push the power in their products, many remember them reverently – such as in 1932, 200 years following Washington’s birth, to re-establish the Purple Heart – an award Washington conceptualized – and a special mass in 1938 remembering Washington on his birthday at St. Patrick’s Cathedral. Today, historical groups and schools will often engage in studies and educational lectures about the two Presidents during their birthday months. Like this story? 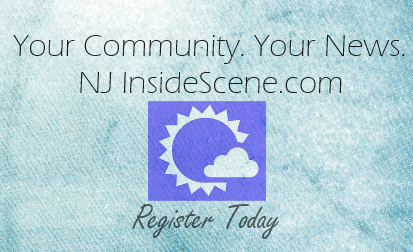 Stay on the scene, with NJInsideScene.com for more stories and click here to like us on Facebook!